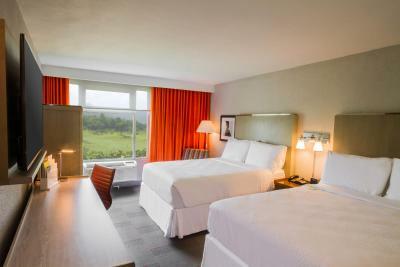 Lock in a great price for Four Points by Sheraton Caguas Real – rated 8.6 by recent guests! The front desk staff was very helpful. The rooms was very clean. hotel was nice , people were friendly , very clean . The security girl at gate so friendly and helpful and spoke no English!! 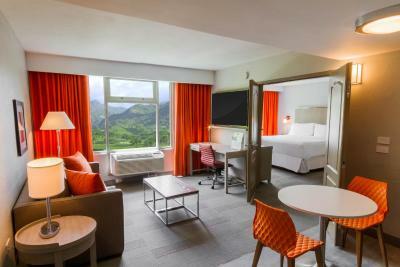 Four Points by Sheraton Caguas Real This rating is a reflection of how the property compares to the industry standard when it comes to price, facilities and services available. It's based on a self-evaluation by the property. Use this rating to help choose your stay! 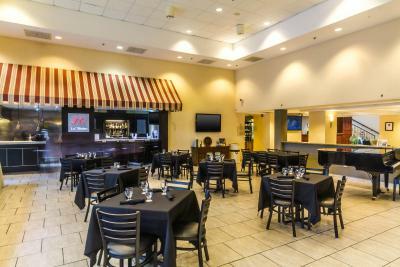 Surrounded by lush mountains and only a short drive from downtown San Juan, this hotel in Caguas, Puerto Rico features an on-site casino and a variety of dining options. 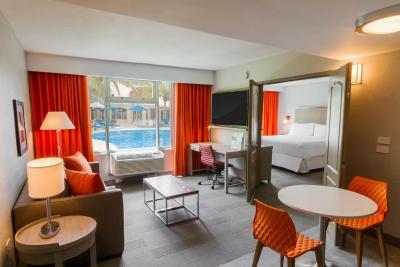 Four Points by Sheraton Caguas Real is a completely non-smoking hotel with an outdoor pool. 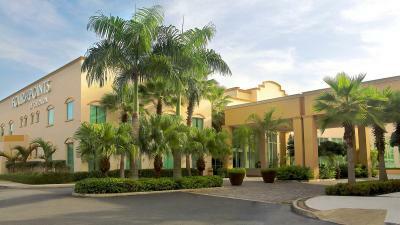 Guests can work out in the well-equipped fitness center or play a game of golf at the nearby course. In the evening, visitors can have some fun in the casino, which is in the lobby. The hotel also has a golf course. 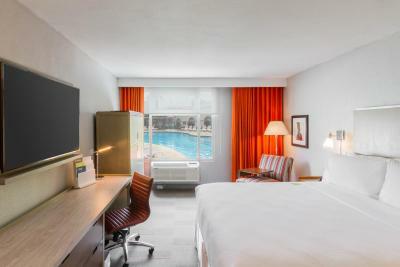 The comfortable rooms have a plush comfort bed and daily bottled water, plus Wi-Fi access without a fee. X.O. 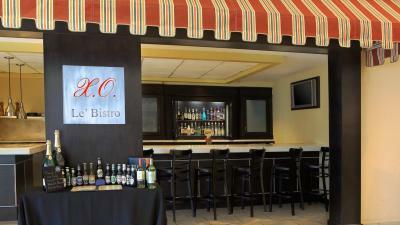 Bistro at the Caguas Four Points Real serves regional dishes for dinner. In the evening, visitors can have a tropical drink on the dance floor at Passion Lounge. 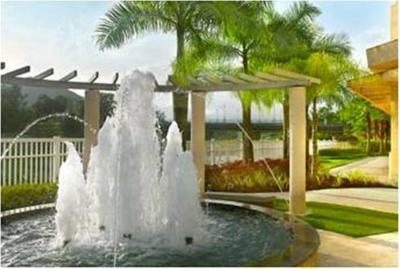 This property also has one of the top-rated locations in Caguas! Guests are happier about it compared to other properties in the area. When would you like to stay at Four Points by Sheraton Caguas Real? Public parking is available on site (reservation is not needed) and costs USD 11.15 per day. 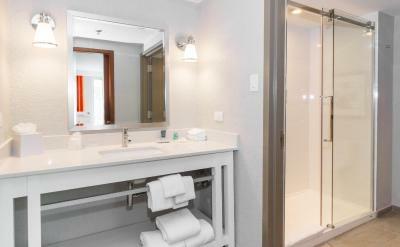 This double room has air conditioning, mountain view and flat-screen TV. 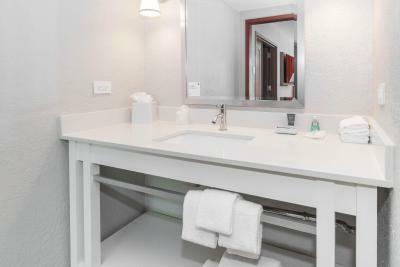 This suite features a flat-screen TV, bathrobe and air conditioning. 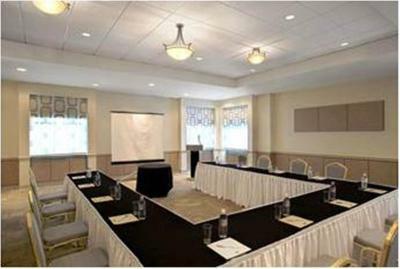 House Rules Four Points by Sheraton Caguas Real takes special requests – add in the next step! Four Points by Sheraton Caguas Real accepts these cards and reserves the right to temporarily hold an amount prior to arrival. Please note that breakfast fees must be paid upon check-in. Please be aware the property will be undergoing renovations starting Monday June 4th onward. There will be significant noise due to the construction equipment and labor being done in the facilities. Please note some rooms will undergo renovations until December 28, 2018. Guests may experience noise from 9AM - 1PM. There was no bar to speak of. All service persons where very nice and helpful. Buffet was expensive and not a lot of variety items. bought prepaid breakfast, by looking at picture on flyer, had eggs over easy, pancakes toast sausage , juice etc. it was actual a continental breakfast an more then buying off menu. we have 2 kids 5 an 3 our kids take naps . their was construction going on an was extremely loud can hear in room kids could not take naps . had to drive around in car till feel asleep an let sleep in car. told staff at front desk they said sorry . some one could of said that when we checked in or had enough sense to see we have 2 small kids an moved the room. Didn't have enough time to rate but I did not see nothing that I disliked. I didn’t stay long enough to rate the likes but the little I saw make me feel like home. I didn’t expect my hometown to have an extraordinary hotel in the middle of the Island.